Jump into Fall at EFESTĒ! A few short weeks ago, we celebrated the anniversary of the grand opening of our SoDo Tasting Room. Hundreds of EFESTĒ fans and club members joined the family for a party where we previewed some upcoming additions to our SoDo tasting room experience. Starting October 29th we will be adding a daily snack menu to complement your wine tasting. Drawing from the culinary expertise of owner Helen Ferrelli, we have focused on a tapas style assortment of snacks that are bursting with flavors of the Mediterranean, Italy and France. Take a look below for a preview of the full menu. In addition to this new daily menu, we will also be the go-to destination for 12’s to hang out before the game to enjoy your favorite EFESTE wines, snacks, and even a rotating selection of beers on tap. Our Pre-Game Tailgating Series is a set of four tailgate parties before the Hawks night home games. DJ Troy will be sure to keep the party going right up to kickoff. Glass pours, bottle sales, beers and food will be available for purchase. No cover charge. RSVP’s coming soon. Served in a convenient cone, our Charcuterie can be scaled up to feed your entire group. Single servings include two types of cured meats and two types of cheeses topped with our Noci Misti, Calvestrano olives, dried fruit, and a breadstick. Ask your Tasting Room Host for available selections. Fall Allocation Season Begins October 24th! Contact us today to order your gifts! 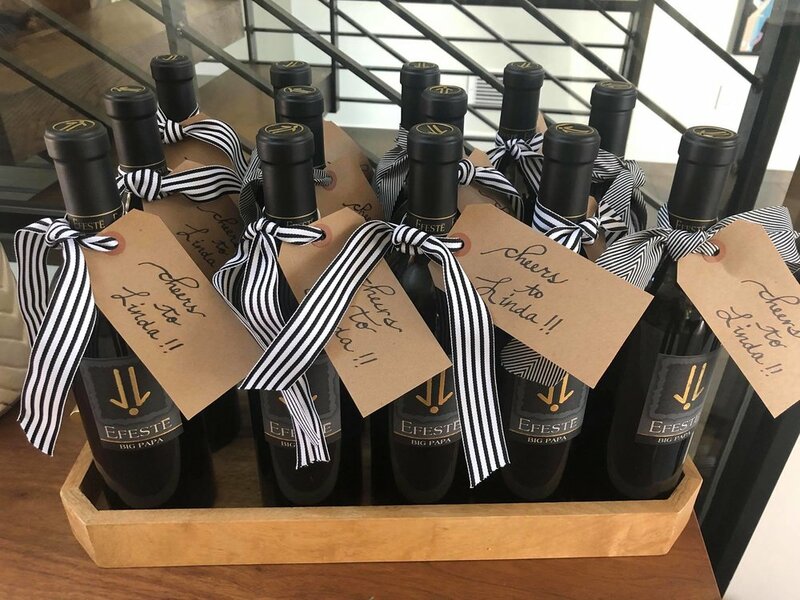 With customization options from packaging to wine labels, you can count on EFESTĒ for custom gift solutions.